One of the largest Dialysis Treatment Chains in the US had a unique problem. They wanted to suspend hands free tablets near patients without adding equipment that would take up floor space. Being a long term partner, First Healthcare Products was called on to assist with this new challenge. To meet all the requirements the solution needed to attach to many different types of equipment and shelves, be easily cleaned and hold up to constant clinic use. met all functional requirements. The final solution helped dialysis staff deliver care more efficiently and safely to patients and helped maintained important infection prevention protocols. The solution worked so well that the client continues to engage First Healthcare Products on new projects. The tablet mounting solution needed to meet many specifications because of the various environments it would be used in. It needed to attach to over 5+ unique pieces of existing equipment, maintain infection prevention protocols, work with existing technology and be durable enough for constant daily use in a dialysis setting. THE MAGENEFLEX TABLET MOUNT CAN ATTACH TO 5+ UNIQUE PIECES OF EXISTING EQUIPMENT IN DIALYSIS CLINICS. Our consultants walked the facilities, interviewed clinicians to understand their needs and even measured equipment on site for a perfect fit solution. Product brainstorm sessions resulted in prototypes that clinicians were able to test and evaluate. This collaboration with clinic staff helped us deliver the best solution for all clinics. required no tools or special installation. 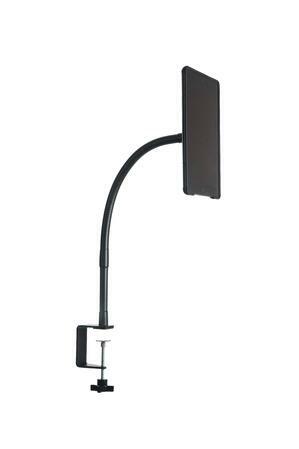 The Magneflex Tablet Mounts were shipped to the clients clinics and are currently in use. 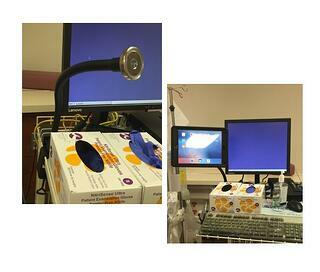 These hands-free tablet mounts are helping clinicians deliver dialysis care quickly and safely. We continue to assist with new projects and support.